Self-Directed Services provide personal choices for those who seek to lead truly person-centered lives, and empowers individuals with the ability to design, implement and manage a service plan that best fits their unique needs. The role of Perspectives Self-Directed Program is that of a "fiscal intermediary" -- a private company contracted to provide payroll services based on the individual’s budget, financial monitoring and reporting based on regulations and requirements. This includes paying your employees and/or your approved invoices, billing DDD for reimbursement, and keeping you up to date on your spending. The Self-Directed fiscal intermediary model allows individuals over the age of 21 who have BHDDH funding to take control of all support resources, from decision-making authority to service delivery. All individuals participating in the Self-Directed Program are legally considered “Sole Proprietors”, each having their own Employment Identification Number (EIN) provided to them by the Internal Revenue Service (IRS) via the SS-4 application process. The people that work for the Sole Proprietor are employees of the Sole Proprietor. 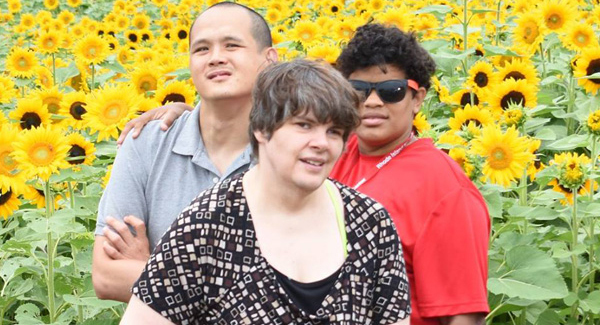 Are you eligible for supports through Rhode Island's Division of Developmental Disabilities? Do you know about Self-Directed Supports?